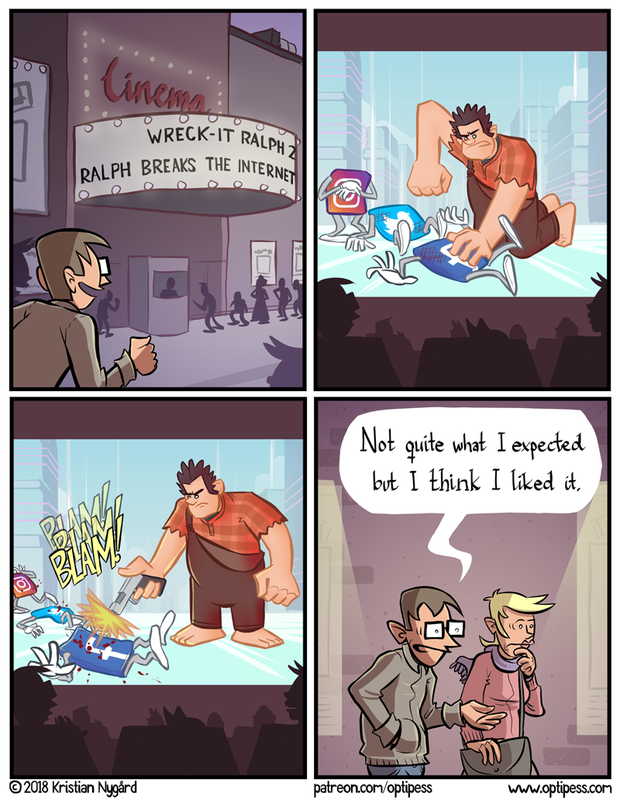 Apologies for these huge Wreck-It Ralph 2 spoilers! The movie doesn’t open here in Norway until 2019 for some reason, but I’m pretty sure this is the actual plot. It’s called Article 13 and it will affect directly comic sites.